Trade Products is a manufacturer of fully integrated product lines for charitable gaming. Cowells Arrow Bingo UK is the UK's biggest name in bingo gaming products. 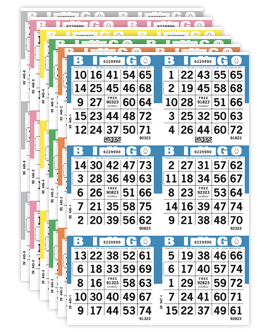 The National Association of Fundraising Ticket Manufacturers (NAFTM) is a trade association of companies that manufacture pull tabs, bingo paper, and related supplies for the North American charitable gaming industry. VFW has partnered with Arrow International to offer gaming tickets to your post with the trademark protected VFW logo. Bingo King is a manufacturer of fully integrated product lines for charitable gaming. Jar-O-Do/Universal Manufacturing® is the oldest custom manufacturer of paper game tickets in the world. Specialty Manufacturing is a manufacturer of charitable pull tabs tickets and Jartabs.